Eager to start beating your face but don’t know where to start? This list of 12 must-have goodies for makeup beginners just starting out will help in your journey to face beat realness ,it can sometimes be so confusing as there are a lot out there to choose from, when starting makeup I will normally advise for start with more affordable products and when you think you are more confident then you can Bergin to step up your game and buying more high end products.I have listed all the items I started off with as a beginner and I still used them,there are plenty of high end products out there but I wrote this for berginners and also for those who are already into makeup but do not want to spend too much but still want to remain flawless for less. When your whole makeup is looking good, under eye circles should not be spoiler, invest in a good concealer to cover your minor imperfections. Invest in a good one because some concealers can make the under eye area ashy, which is not any better than dark circles. AS a Beginner my go to will be for you to use the La Girl Pro Concealer(£5.00), Maybelline Fit Me Concealer, Milani Concealer, this concealers will not break your bank. Blush and Bronzer are needed to add a dash of colour to your face. If you have dry skin, you can pick up creamy blushes and if you have oily skin, you can try powder blushes I personally love dry Blushers as they are very easy to blend and do not leave your face cakey . Bronzers are also necessary if you want to get that sun-kissed look. Also, highlighter to highlight certain areas on your face. For a Beginner I will recommend the Sleek Blushers, Makeup Revolution Blusher(£6.00) Milani. For Bronzers Sleek and Makeup Revolution do have cheap and very pigmented and affordable Bronzers. No makeup kit is complete without mascara, neither for beginners nor for professionals. Good mascara lengthens, curls, and opens up your eyes to give you an awakened look. This item should not be skipped at all. My first Mascara as a beginner was from Maybelline, Maybelline produce one of the cheapest and best Mascara .Maybelline Lash Sensational (£8.99)was by first ever Mascara I bought and stil used today. Since you would want to experiment with a lot of different eye makeup looks, its wise to invest in an eyeshadow palette rather than spending money in collecting single eyeshadows, I will suggest you go for a palette with more than one eyeshadow. The most basic one is Coastal Scents eyeshadow palette (15.99)which has some 88 eyeshadows in one palette and comes at a good price ,Makeup Revolution has got some good palette too andMorphe if you are willing to stretch more . You can opt for lesser or more shadows, it’s your choice. Building your brush collection can get pricey quick; and why spend so much money when you’re still trying to figure out HOW to even use them. Word of advice, I will personally not recommend to start off with expensive brushes if you don’t know how to take care of them you will just ruin the brushes and will end up spending even more money. There are a lot of inexpensive brushes on EBay and Amazon, I still used my Bestope Brushes(£14.00) this is an inexpensive brand that is great for beginners. The most expensive brush I’ve ever seen will range from anything between £30-£108 .Some are even just £1. Go to Primark, Superdrug’s, and Boots and pick out some brushes to get you going. They’ll last you more than a few months until you can get the hang of techniques and brush care. After that, slowly start building your collection of those more expensive brushes once you very confident. 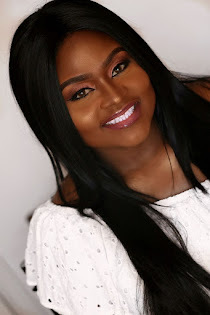 Thank you Marieyvonne ,what are your best affordable products ?